Unlike the Pakistani media that reported the hanging of Ajmal Kasab sparingly, the Indian media featured the story very prominently all day yesterday. I can vouch for the fact that for Indian television and online journalists it was a busy field day. Literally, all angles of the story were covered – the actual hanging, the mercy petition, 26/11 survivors, 26/11 martyrs and Kasab’s last wish. – A piece of information that an average Indian was quite unaware of and was very hungrily seeking! The English channels, catering to the intelligentsia, were only slightly more measured in their theatrics. Times Now had a two minute promo that called Kasab a ‘butcher’ more than four times! 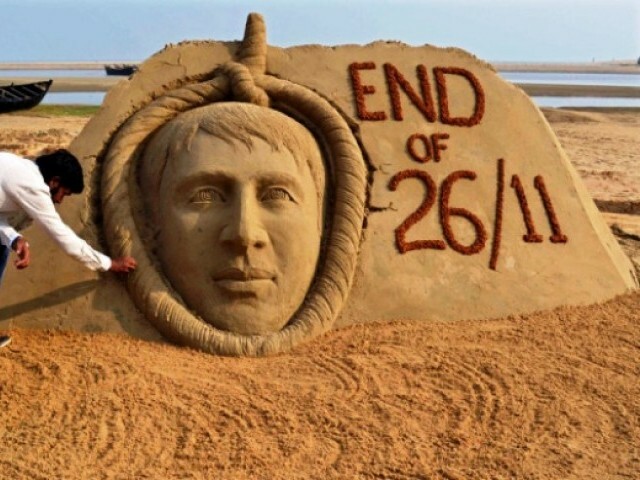 As much as we all agree that Kasab was a terrorist who came to the country to kill people in cold blood, there is little need to rekindle the wounds of the victims of the dreaded night of November 26. Now that my usual amount of criticism has been meted out, I want to go on record to say that yesterday was a day when I also saw some good, balanced reporting done. Not all Indians celebrated death. There will always be channels that went overboard, reporters that got emotional and reportage that were opinions. But, an overall picture of the reporting done on Kasab’s hanging was better than the usual jingoistic, loud reporting. Even as many in the media began sounding triumphant, there were people whose heads were placed firmly on their shoulders. Kafila, an well-known team blog, carried a piece on how a Mumbai terror attack victim sympathises with Kasab – sensible and level headed commentary on why people like Kasab are made and why we shouldn’t lose sight of the other side. “Rejoice, fellow Indians. 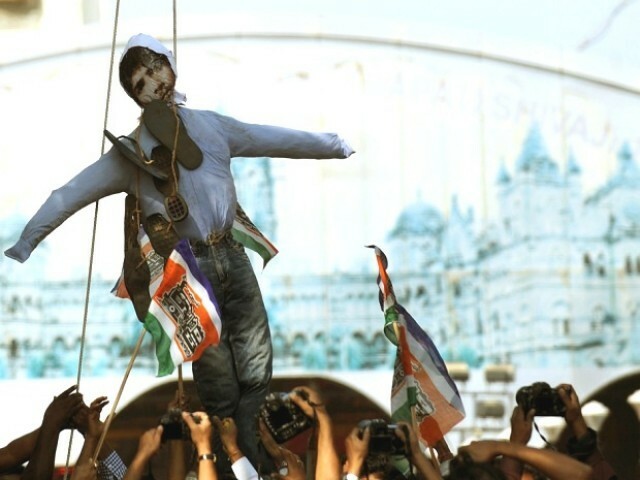 Ajmal Kasab has been hanged. But please excuse me, I am not joining you. Your cheering and hooting and hurrahs feel like a medieval lynch mob celebrating the death of the sinner and not the sin. ‘Barbaric’ is the word that comes to mind. Several senior journalists congratulated him on the piece and several others were concerned about the impact that this would have on the India-Pakistan relations. I am not sure if it was a triumph of the Indian state by killing a man they had in captivity, but it surely was a triumph of Indian media for the way they handled the story. I was baffled by the Indian response to the hanging. His death may have bought a small measure of relief to the unfortunate victims of the Mumbai attack. The cheering and celebration carried out on a large (?) scale had me surprised. India hung a man, they did not defeat his ideology. Why celebrate his death? Can someone give me a logical & rational reason? Yupe… they should have him released him first and then tried to hang him. A soul wrenching post, I must admit. On a scale of humanism you rank alongside Mahatma Gandhi, Nelson Mandela, Martin Luther King, Leo Tolstoy; just to name a few. Im sure if pakistani media had to report such case (if kasab was an indian and Pakistan was th target of attacks) , it would have done it exactly the same way. what i am sure of is that it was justice, not triumph. not one said it was triumph, why did you think it was being seen as triumph by the Indian state? it will surely be triumph when we will succeed in punishing those masterminds. I appreciate my Nation’s leniency that they left the Terrorist to live for 4 years. He could have got DEPARTED by showing his talent and bravery at his nation for the right path. What about the State Sponsored Active duty Hindu Terrorist,Col Prohit? Who killed 67 innocent Pakistanis in Samjhota Express? What event Happened before? And why is Prohit the killer and Indian State sponsored Terrorist is still alive?Who is the bigger Terrorist? Prohit killed 67 people alone ,only in one account of Samjhota Express, If we count his other accounts of terrorism within India, it will cross over 100. So, Why is he still alive? Did Samjhota Express victims know why they die for? Stop talking crap. mark my words: It’s the same Drama as OBL death. Myterious, no evidences and no proves. Pure State intelligence operation. Fools can think whatever they want. Response was justified. He was responsible for brutal butchery. And people wanted to vent their spleens. Being a Pakistani, I have to be honest with the Indians here that it is amazing that he was given full opportunity of his defense in a court . Due process of law was followed and the man got what he deserved .but my salute to the Indian nation and democracy for having such rule of law. I am really impressed. Sickening to read the support for kasab the butcher. All over the world, the death of evil is celebrated and rejoiced. After the due process of law and extracting as much info as possible from kasab, the butcher was useless to India in that exorbitant costs are incurred in maintaining him in prison. What the heck, Pak refused to take his body , Do u think they would have taken him back alive. Whether Pak would have accepted him or not, his crime and thoughtless cruelty deserved death punishment more than others, If ever death penalty is to be awarded to anyone, it must be kasab. 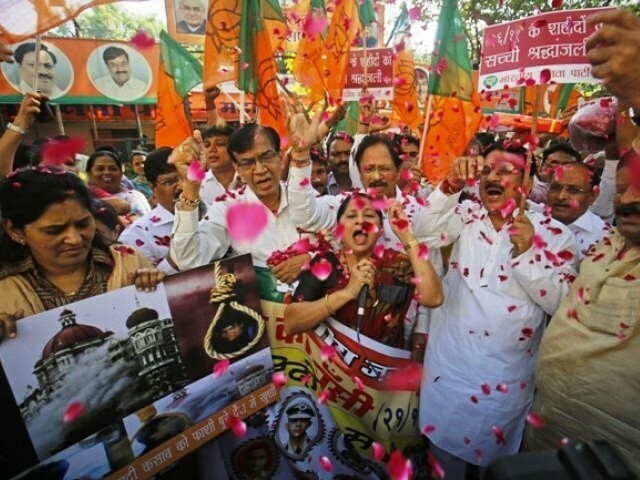 If ever death of evil is to be celebrated, it was kasab’s death. Dont we all celebrate the death of naragasura even after so many ugas. This article is about Kasab. So it is but natural that the comments should be in context. When the cases you mentioned will be the subject matter of an article, I will come up with my views, if I feel the need to do so. However, since you brought it up, here is my take on it. It seems to me that; a) you are not familiar with the concept of ‘due process’. b) you are not up to date on the cases you mentioned, and c) your response is more of an emotional outpour than a logical arguement. To start with, all the cases that you mentioned are sub-judice. People involved in Samjhauta express case are in jail. And they were arrested by the state. So its laughable when you say samjhauta blast was state sponsored. Investigation, Judicial process etc. are time consuming. I wish they were tried under a first track court. Kasab’s trial took 4 years. We haven’t heard the last word yet. A Terrorist is a Terrorist, he does not have any religion..
It’s seen that if any terrorist belongs to any community he is always supported by them. I say that there is nothing in name, because the follower of the right path always follow the right path. ”it is a great sin to kill an innocent person, and anyone who does so will suffer great torment in the hereafter. Kasab’ no idea who was he but punished for doing so, for which he deserves evidently. @Cynical: First rule is that I have already decided what is the context and what the soul of the article is about, It’s about Justice. Consider your invented context null and void.